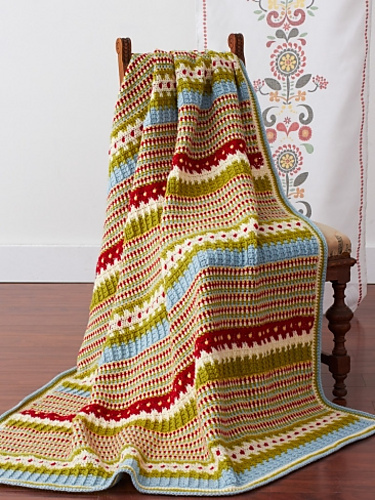 I have been pondering over this blanket for some time, since I fell in love with the pattern which I found on Pinterest. 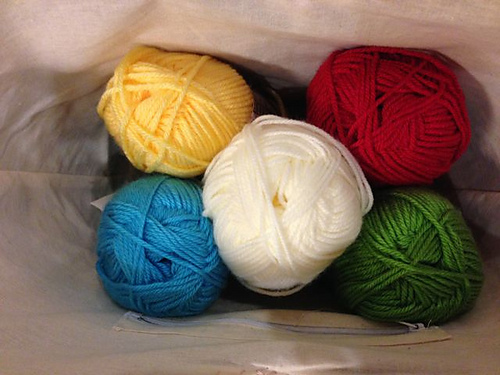 But I couldn’t get the right yarn in the UK and I sooooo wanted to use the same colour palette. 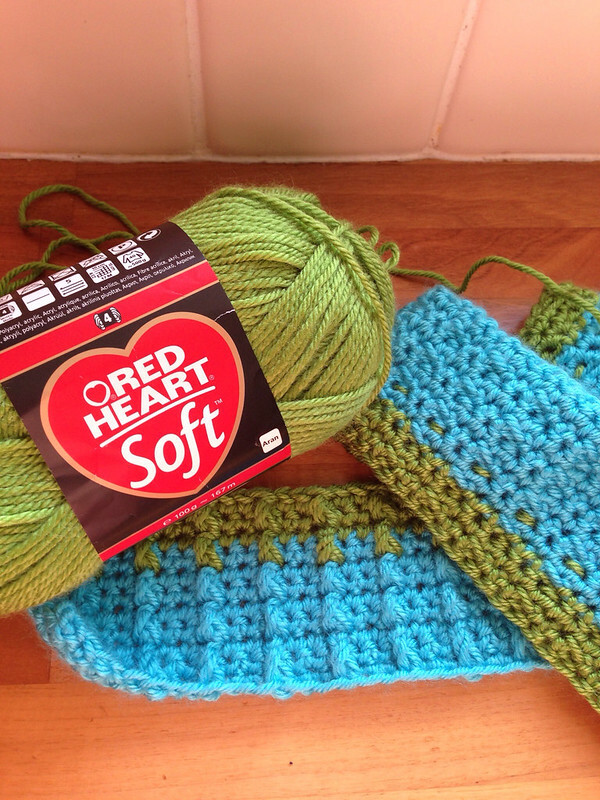 I even bought the yarn, close in colour but ‘not quite right’ but something has stopped me from starting. Until now! 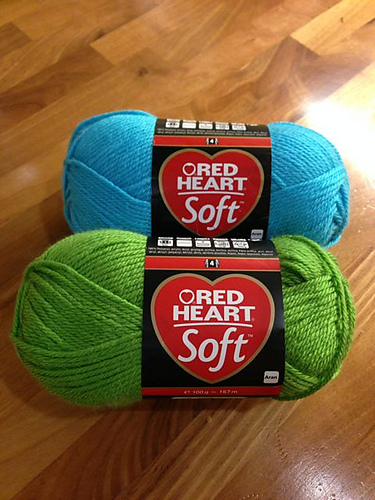 Enter Red Heart soft – now available from Deramores in the nearest matching colours of green and blue. Mix with that some King Cole Aran in cream, Duckie in Vanna’s choice and Lipstick in Stylecraft Aran and “Bob’s your Uncle” – we were in business. Not exact, I know, but damn close! 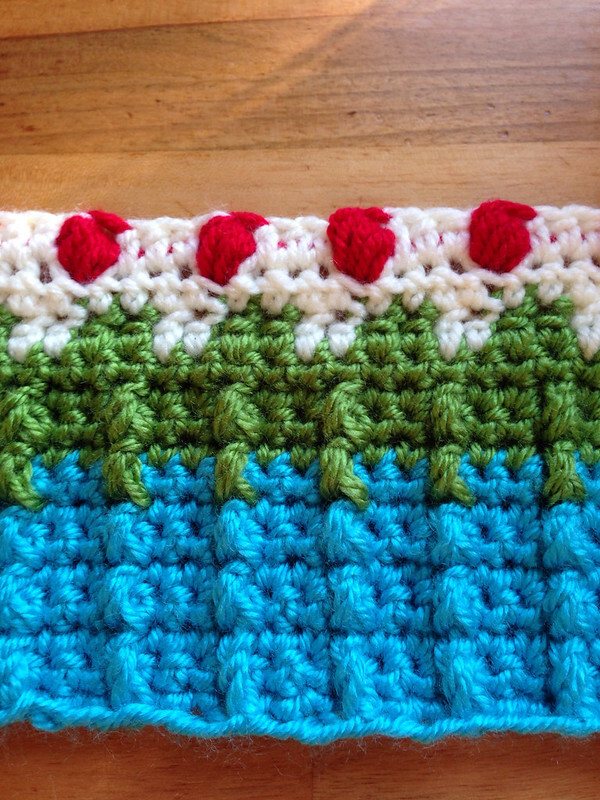 I have only just started but this blanket pattern is a joy. It makes me feel happy and Spring like and colourful and, well all sorts of colourful yumminess! 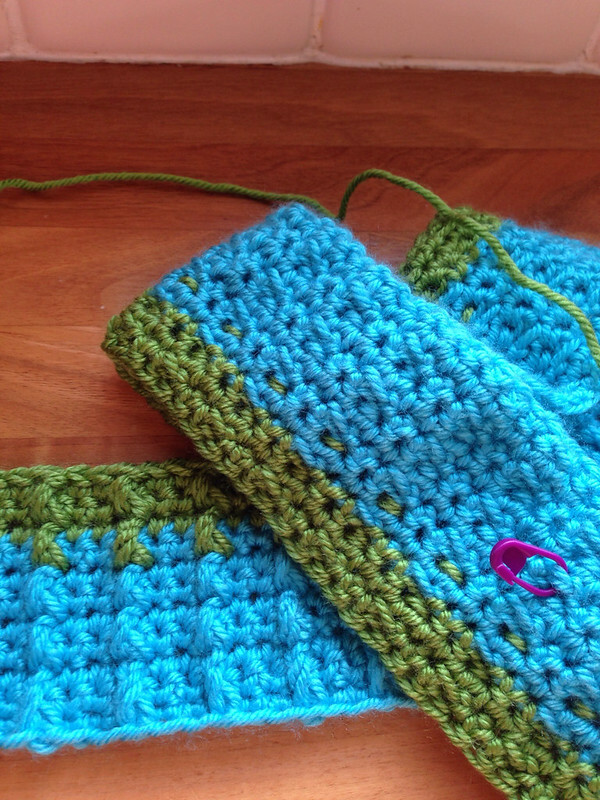 This blanket is going to look fabulous when it is finished. 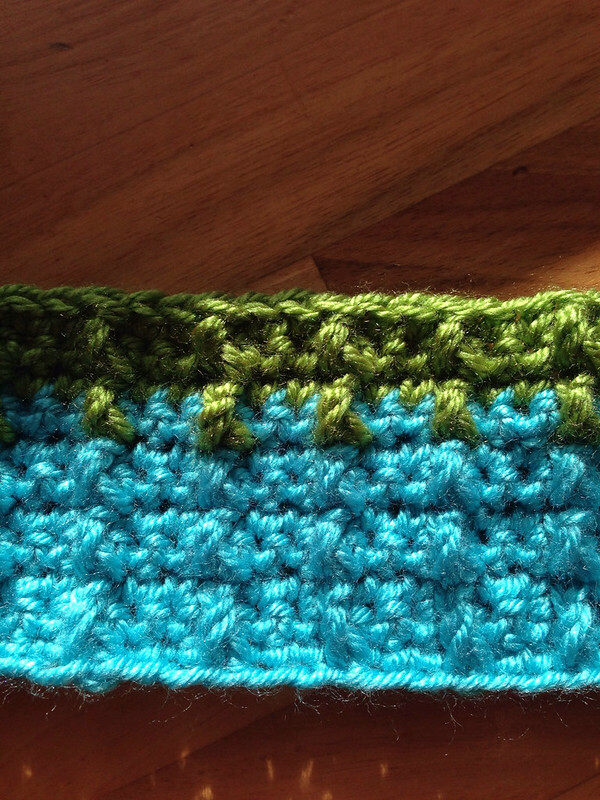 You were right to make sure you were happy with the colours before you started it. It looks very interesting to make as well. 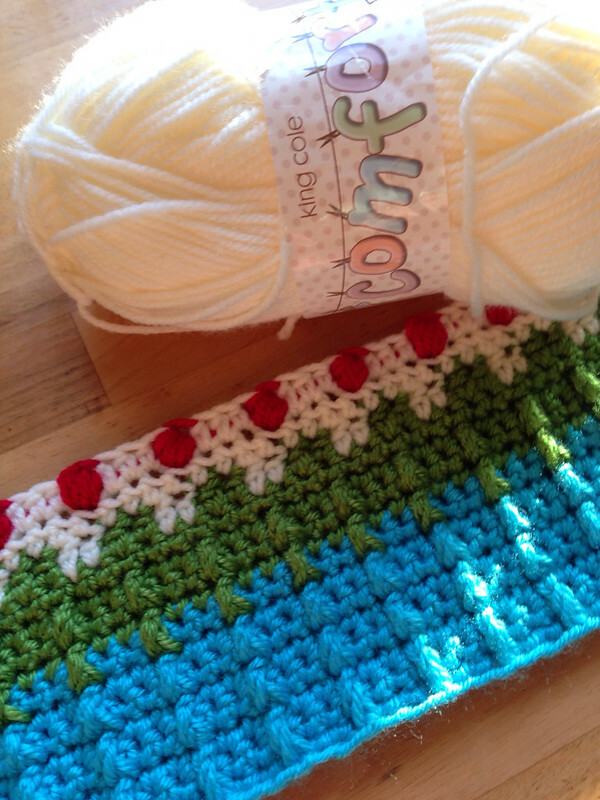 Thanks Una – you're right, I would have been really unhappy if I'd started it in the original colours I bought. The Red Heart is really great to work with and has a silky finish and the pattern is really interesting (but not too hard!) Thanks for commenting. Jane.